2014 Ford Focus Estate review | What Car? 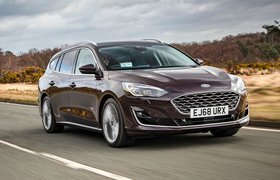 The Ford Focus Estate is now halfway through its shelf life, which means that it's due the same revisions that have just been applied to the regular five-door hatchback. As a result, the wagon gets the 1.5-litre petrol and diesel engines, the 1.0-litre Ecoboost in two states of tune, and a 2.0-litre turbodiesel. Ford claims that it has worked hard to improve refinement and comfort across the range. All of the motors promise improved efficiency; in the case of the 1.5 diesel, it's enough to dip the Focus Estate under 100g/km of CO2 emissions. The cabin also gets a refresh, with a simpler, clearer, more modern infotainment system at the heart of a revised fascia, and improved materials that are designed to bring the Focus closer to the interior of its main rival, the VW Golf, and even the Skoda Octavia. 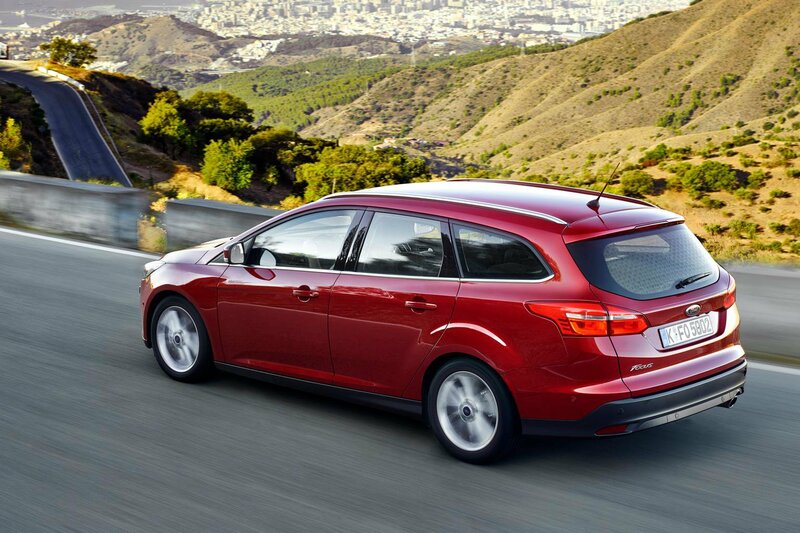 What's the 2014 Ford Focus Estate like to drive? The Focus has long been the choice for keen drivers, and they're unlikely to be disappointed by the latest incarnation. 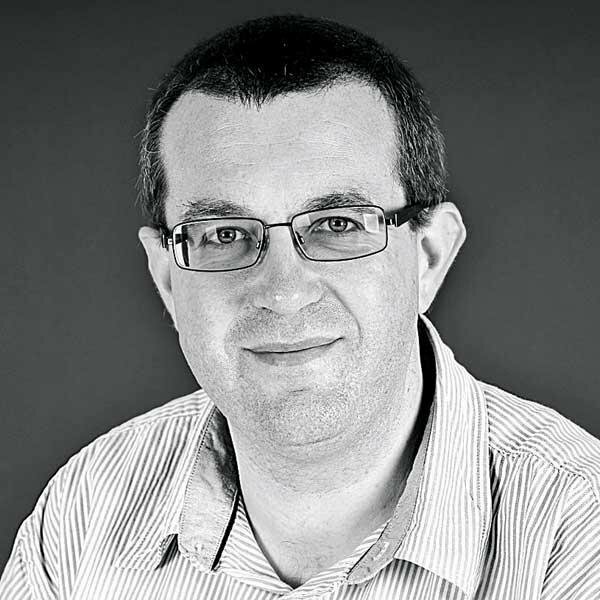 Even the estate model steers crisply and keenly; if anything, the steering feels a little more aggressive around centre, so it's even quicker to react to your inputs than it used to be. Nor, it must be said, does this mean the Focus feels nervous when you're ploughing down a straight bit of motorway; it really is a sweet set-up and the class benchmark. The suspension is definitely on the firm side but still comfortable, another sign that the Focus's core values haven't really changed. Body control is easily the equal of anything in the class, because the Ford stays incredibly flat when you're cornering hard through bends. The trade-off is that some sharp imperfections do get transmitted through to the cabin but even then, the Focus does an admirable job of minimising their intrusion. We tried the 2.0-litre turbodiesel edition that's due on sale in the UK in late November, with 148bhp, a six-speed manual gearbox and CO2 emissions of around 105g/km (Ford hasn't confirmed precise right-hand-drive figures yet). In some respects it does feel like a whole new engine, because the rumble from under the bonnet is better suppressed than before, and the note itself is smoother. However, it's also a little old-school in power delivery, with next to nothing below 1500rpm and an old-fashioned surge around 1900rpm. It's flexible enough to pull strongly to beyond 3000rpm, though, and the mid-range punch makes overtaking feel routine. The engine is quieter than before, then, but it's hard to see a huge step in refinement in other areas. The Focus still suffers from noticeable tyre roar, and there's also a fair amount of wind noise from around the side mirrors at the base of the A-pillars when you're cruising. What's the 2014 Ford Focus Estate like inside? The biggest change in the cabin is the new fascia, which gets a much more sophisticated infotainment system. At its heart is a touch-screen set-up (either 4.2in or 8.0in) and while it's not quite as slick as the latest systems from VW and Skoda, it's a huge step forward over the cluttered interface that the Focus was lumbered with before. The display itself is clear and sharp, although some of the on-screen buttons are a little small. Ford's Sync 2 system also allows you to control many actions through voice commands, although we can't see the point of going through a three-step process to change the temperature by one degree when there's a simple dial in front of you that can do the same thing in a single click. The rest of the fascia looks familiar, which is to say that while the layout may have improved, the materials and plastics still look a little drab compared with the premium flourishes that you get in the Golf and to a lesser extent, the Octavia. At least it's easy to get comfortable in the Ford, though; there's a good range of adjustment on the driver's seat and the steering wheel. There's also room for a couple of grown-ups in the back, although everyone will need to know each other if you want to squeeze three adults in there. The mid-life revisions don't bring a radically different load bay, meanwhile, so you get an area that's wider than the Astra and Golf Estates', but not as long. The seats fold down completely flat, though, opening up a useful space that should be enough for most people's occasional needs. There's no doubt that this Focus is an improvement over the old model. It's even sweeter to drive, offers improved efficiency and brings a cleaner, less cluttered fascia that's easier to use. However, these gains aren't quite enough to bring the Focus up to the same level as the VW Golf Estate, which is almost as good to drive, just as practical and offers a more premium cabin. The German hatch may be more expensive, but unless you're after handling prowess above all other factors, the VW would still get our money, and it will hold on to its value longer second-hand too.